Kodak EasyShare SV1011 Digital Frame Software and Firmware Downloads for Microsoft Windows and Macintosh Operating Systems. This firmware version provides the following improvements: error handling and messaging; audio and video playback; music and slideshow playback; file/folder display; picture-viewing from KODAK Gallery. Kodak EasyShare SV1011 Firmware Installation Instructions. 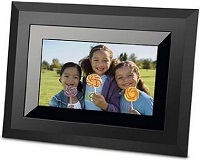 Click here for Kodak EasyShare SV1011 Digital Frame Manual or User Guide. This download page includes the EasyShare SV1011 Software, Digital Frame Firmware and SV1011 Manual.